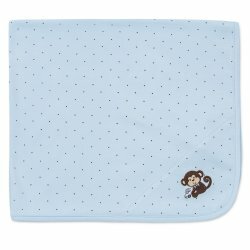 The "Pretty Monkey" blanket by Little Me is just so pretty with the matching "Pretty Monkey" newborn gown and hat. 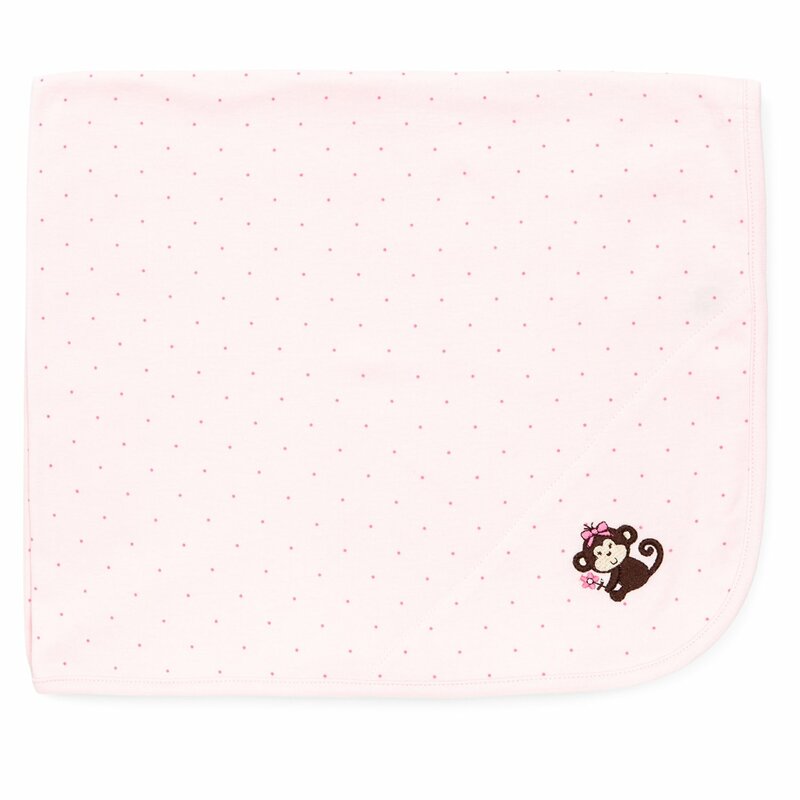 The sweet and happy monkey is an embroidered appliqué on a soft pink with hot pink dots print. A great swaddling blanket as well. 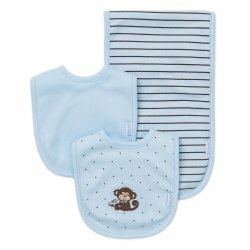 Pair with the "Pretty Monkey" newborn gown and hat set for an extremely adorable "Take Me Home" set and baby shower gift for a one very cute little monkey!